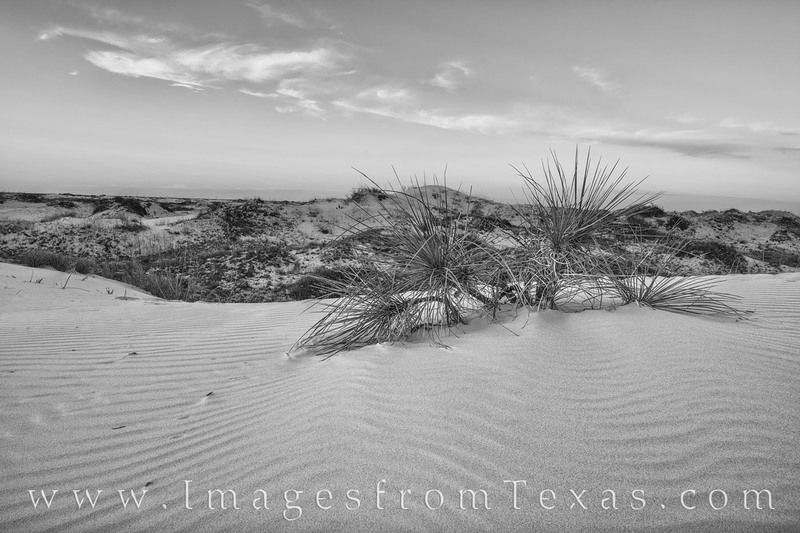 The Sand Dunes of Sandhills State Park near Monahans, Texas, offers some interesting opportunities for photography at anytime of day, but especially around sunrise or sunset. In this black and white photograph, a. yucca rises from the sand on an evening in Spring. Photo © copyright by Rob Greebon.